Clay drop-in is back! No sign-ups required. Just come, pay your fee, buy your clay from Candace and get started! What would you like to make? Tableware? Other functional pieces? Sculpture? You choose. All tools provided. A variety of clay bodies are available for purchase, suitable for hand-building and sculpture. All work is fired in oxidation to cone 5. No prior experience necessary. Bring your ideas and get ready to have some fun creating satisfying artworks in clay. Candace has been teaching all ages about working with clay as well as creating and selling her own works for the past 25 years. She studied ceramics in college and with prominent ceramic artists. Her thirst for understanding all aspects of clay from creating various functional forms by hand, on the potter's wheel and creating sculpture has given her a knowledge of experience and technique to share with her students. 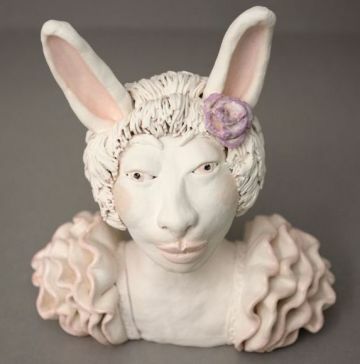 Currently, she is teaching ceramics in Sebastopol and Petaluma, as well as creating clay works, both functional and sculptural.